The use of organic topdressings to control turfgrass diseases is a relatively new approach to controlling turfgrass diseases. We do have good evidence that the acid peat moss topdressings can give good control of TARR on St. Augustine grass home lawns. In comparison studies, peat moss topdressing reduced symptoms of TARR for longer periods than cow manure compost and is thus considered the more effective disease control product. Additional research will address the best time to apply peat moss topdressing products as well as possible effects on other turfgrass pathogens and diseases. One application appears to be sufficient for 2 years of disease control. Here are the comments of another Extension PhD. Notice the anti-organic bias. It has been brought to my attention that there are effective chemicals which may work on Take-All patch. These include Spectracide Immunox, GreenLight Fung-Away Systemic Granules and Ferti-lome f-Stop with myclobutanil. One more point of interest, the ONLY organic solution which is effective on lawn diseases is the sphagnum peat for Take-All Patch. Sphagnum peat is not effective against Brown Patch. Lately there have been claims made that corn meal and a garlic extract is effective. This is absolutely false. Even if these purveyors claim that a University tested and/or recommended the product. Everyone trying to do the "environmentally friendly-to-a-fault" thing have been wasting their money. They would have been better off making corn bread and using their garlic for cooking purposes! This and other extension people still recommend the toxic chemicals. At least the peat moss advice is non-toxic, but there a couple of problems here. First, Take-All Patch is not a rampant disease, especially with organic projects. Second, if lowering the pH is the key to fighting this disease, then vinegar and greensand would be quicker, better and far cheaper. Third, what really cures this disease or any other disease is to help the beneficial soil organisms neutralize the pathogens. 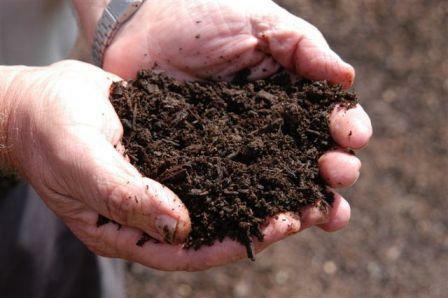 Biologically alive compost is the best solution. I would strongly suggest doing these tests again and this time getting the input from organic experts about the protocol, especially on what compost products to use. True organic people don’t use peat moss except for one thing – storage of perishable materials. Peat bogs have long been known for preserving organic material. In Scotland, tubs of butter have been found intact after 1,800 years; elsewhere, a loaf of bread thousands of years old was found. In a demonstration for the Norwegian state radio network NRK, Christensen opened a plastic container in which a Zebra fish had been stored in peat for two years. It was intact and smelled fine. Peat moss is anti- microbial – the last thing we want to use to help build healthy soils. Plus, peat moss is much more expensive than compost. Store your bulbs and food in it - but keep it out of the soil. My Take-All Patch control recommendations are found in the Library click here. videos and the monthly DIRT newsletter, you can Join the Ground Crew. If you are already a member, Thank you! please click Reply and put Unsubscribe in the Subject line.